… we have been helping companies around the world attract and retain high-caliber global executives and key-employees. … we have based our reputation on providing quality and personalized service on a timely basis. … we have global experience and understand the local needs and cultures of our clients. … we have a proven track record of successfully placing global executives and many other ‘difficult-to-find’ key-employees across a wide range of functions and industry sectors. … we have been helping not only established companies, but also early stage (prefunding) Startups. YES Partners is a trusted advisor providing talent-solutions to organizations ranging from Startups to Fortune-50 Companies. With corporate headquarters in the San Francisco Bay Area, YES Partners has affiliate offices in the United States, Europe and Asia. Additionally YES Partners has helped Companies in Canada, Latin-America, Australia and the Middle-East. YES Partners is a global Executive Search Firm, adding value to companies by finding exceptional executives and other key-employees they otherwise don’t have access to. Organizations worldwide rely on our expertise to search and find diverse executives. YES Partners is committed to providing the highest quality of service for its clients. To many companies around the globe, YES Partners is synonymous with quality, confidentiality, honesty and personalized service. Our company size allows us to retain those core values while providing superior levels of flexibility and close personal interaction. YES Partners operates in the strictest of confidence and in a forthright manner. We will, at all times, follow the agreed upon methods of communication between our clients, our candidates and us. With our proven track record of successfully placing key executives and other key employees internationally across a wide range of functions and a broad spectrum of industries we have served clients ranging from Start-ups to Fortune 50 corporations. Our policies focus on molding our processes to the customers’ needs and to center on results. We will prove that we can deliver to your satisfaction before requesting any payment. There is no upfront payment until we prove that we can “deliver” by presenting a shortlist of qualified candidates.  This means there is “no risk” to our clients.